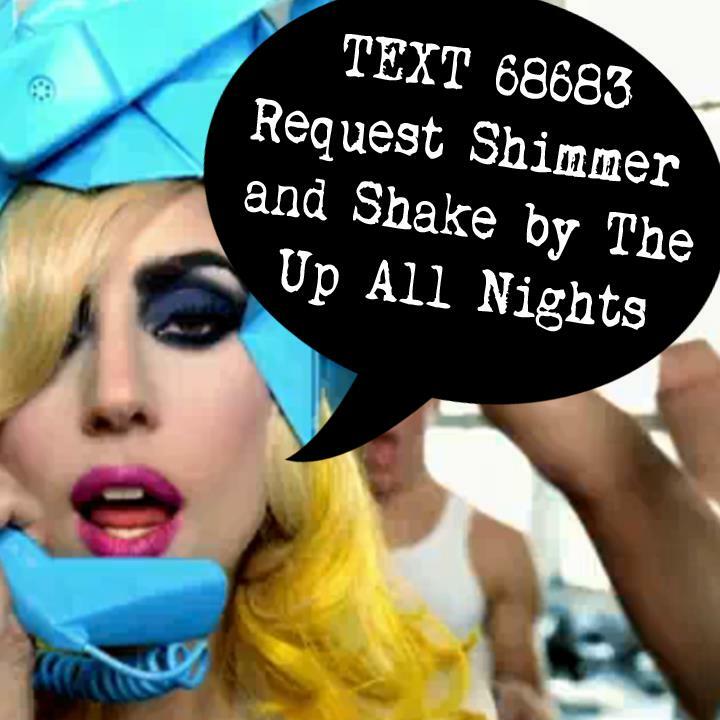 "Request Shimmer and Shake by The Up All Nights"
all the time until you or someone dear to you bursts into flames. Request it all the time because you love The Up All Nights and they love you. We chose this song because Tom Butler picked it, we know we have newer material. We also want to play live in the Big Room. So if you can help us do that then go for it. *Also our friend Jason Winner's band Indigo Wild is doing the same thing so vote for them as well. **their song is "rowboats"